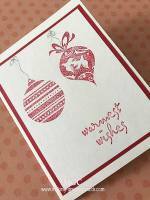 Send paper Christmas cards this holiday season. 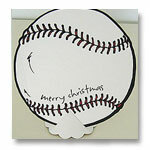 Why email Christmas greetings that can be easily trashed when you can send printed one that will be kept and treasured? 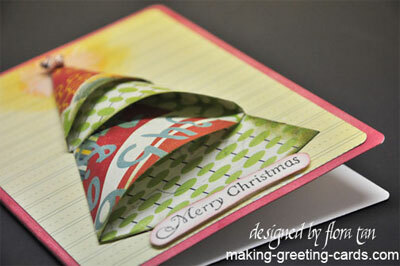 to make this origami Christmas tree card. 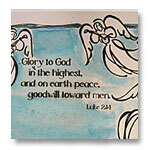 Scroll down for more Christmas greeting cards and free printable season greeting cards. 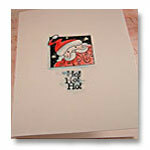 You can send personalised Christmas greeting cards by making your own with die-cuts, rubber stamps, or designer paper. 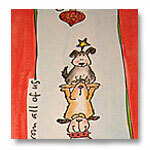 Make a photo season greeting card by adding a photo of yourself, your family or your pet. 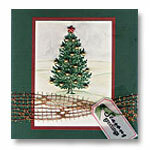 Homemade Christmas greeting cards are definitely so much better than Christmas e cards or even store bought paper greeting cards. For me, I just love Christmas. It's the season to celebrate. It's the season to exchange warm greetings. 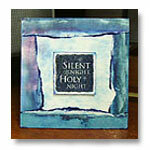 Most of all, it's the season to remember the birth of Christ and the reason for His coming into this world. That's why I never use the word 'Xmas' for it crosses out Christ in the celebration. Choose your theme. Is it going to be a traditional theme this year: Red and Green with Gold Trimmings? Or is it a Black And White Christmas? 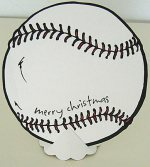 The pros and cons of sending paper christmas greetings as compared to emailing Holiday Best Wishes. 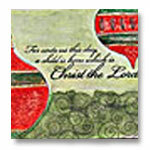 Samples of handmade personalised paper Merry Christmas greeting cards to inspire you. 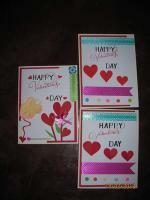 Making your own greeting cards is fun and easy. 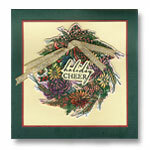 Browse here and find ideas for your own unique Holiday cards. 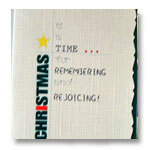 How to organise Christmas card-making session with friends and children. 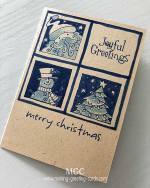 Card making tips for making your own business end-of-the-year greetings for all businesses. 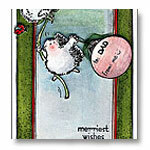 Also check out these two watercoloured cards handmade for clients. 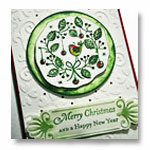 Not everyone's cup of tea - black Christmas greetings - but I enjoyed making these. Wishes From Friends - these are cards I received in the post from friends far and near. 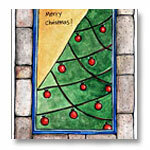 Christmas birthday cards - will open up a new window to my Birthday website. 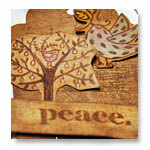 These are handmade cards created by my long distance friend, Valerie Smith. 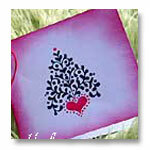 Valerie is from Canada and loves making her own cards. She blesses so many friends and family members with her wonderful creation. Have a look at all her handiworks. 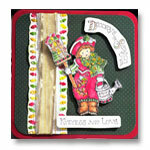 Beryl Deacon is another card crafter. 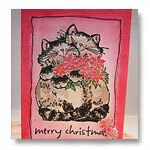 Thank you, Beryl for showcasing your cards here.